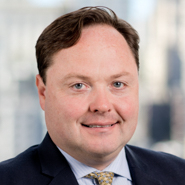 Of Counsel Chris Strunk (San Francisco) will speak at the American Bar Association's 5th Annual Tort Trial & Insurance Practice Section (TIPS) Conference, taking place in New York, NY, from May 1 to 4. The conference will highlight the focus that the TIPS community places on trial, insurance, corporate America, and emerging issues. Chris will speak on a panel presentation titled "Current Issues in Cannabis Law and Policy," which will take place on May 3 from 8:30am to 10:00am (EDT). His presentation will explore the legal, ethical, insurance, and practical issues inherent in this burgeoning industry, as well as discussing regulatory developments at both the federal and state level. CLE credit will be available in some jurisdictions.